I'm nothing if not curious when it comes to beauty products, and there never seems to be enough products in the world to keep me satisfied, as I'm sure you can tell by spending even five minutes on this blog. 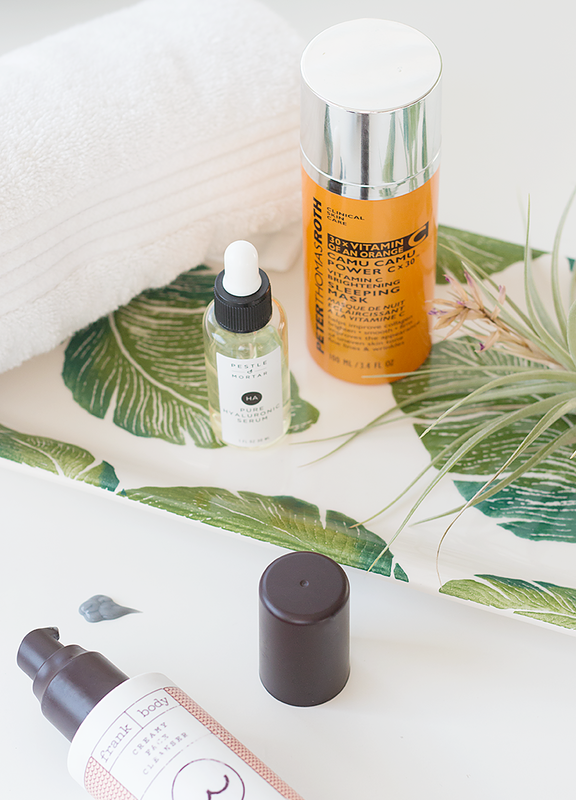 If you're anything like me (which you probably are since you're here and all), I figured you might be curious about the skincare bits I've been loving lately, including one very new (and amazing) discovery — here goes. The Pestle & Mortar Pure Hyaluronic Serum is every bit as amazing as I hoped it would be, but I won't bore you with those details again (although they bare repeating). Instead, let's move our focus to two products that I believe have made a big difference to the texture of my often spotty skin, starting with an unexpected facial cleanser. 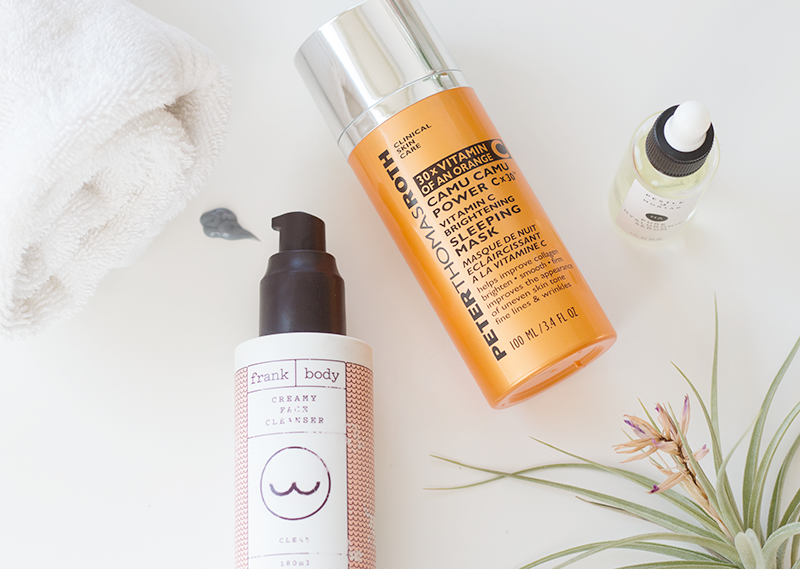 We all know that Frank Body kills it in the coffee scrub department, but what you may not know (and what I certainly had no clue about), is that they make a killer face wash as well. Their Creamy Face Cleanser is light but extremely purifying — my skin feels brighter and incredibly clean every time I use it, which is why I attribute it to my newfound clear(er) complexion. It also gets brownie points for never feeling tight or striping on my skin, which always gives me the no feeling (who's with me! ).